Hey there, handsome. Wanna have fun with an American gal? My name is Pretty, I'm a young en***tainer who craves your company. All your secret desires and wishes will come true once you've spent some time with me. I always offer the best services and I know what it takes to get you in the zone. Fancy calling me? Can't wait to hear from you! 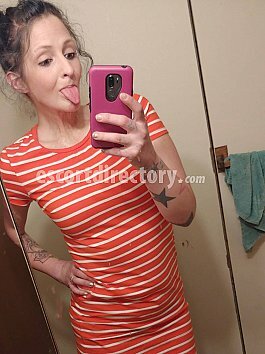 ***y, sophisticated and glamorous, let me sweep you off your feet from our first kiss! The ideal companion for discerning gentlemen and businessmen, I am beautiful and academic, your exotic Asian pretty. Behind closed doors, watch me turn in to a naughty vixen ready for your every pleasure. Run your fingers across my luscious kissable lips? Hey guys. !My Name is Shanel.. Ask About My Special..I'm your BEAUTIFUL Blonde Haired GODDESS. With Emerald Green Eyes a Curvaceous Body or The Soft Silky Skin.You Will Leave Feeling Like A Brand New Man. Take a break from the exhausting grind of your day. Spoil yourself, Relax with Me ***y, Addictive & Always Ready For Fun I have the SKILLS to make you MELT. Available now! Call Me! The perfect wife type with a twist. I'm down to earth, fun, flirty and very adventurous. I love date nights out or late nights in. I'm very flexible to suit just the right type of companionship and connection that's needed. Hello . Gentlemen I am yana. I am very sweet, pretty, clean, discreet, trustworthy, playful & tons of fun!You will love your time spent with me.I offer good & quality relaxing moments. I will treat you like a king .Everything special just for you baby! Come to escape together from your daily stress. Hello, I'm Grace, everything you're looking for, yet something you haven't found. Let me be a breath of fresh air for you. I can put a smile on your face, a pep in your step, and get your heart racing a bit - all of which I believe are only added benefits to what I'm really good at. Please call me at 206 476 2437.